When I began building wood privacy fences I quickly realized that I was going to encounter many situations in which I was replacing old fences that still had usable wood that was destined for the landfill. 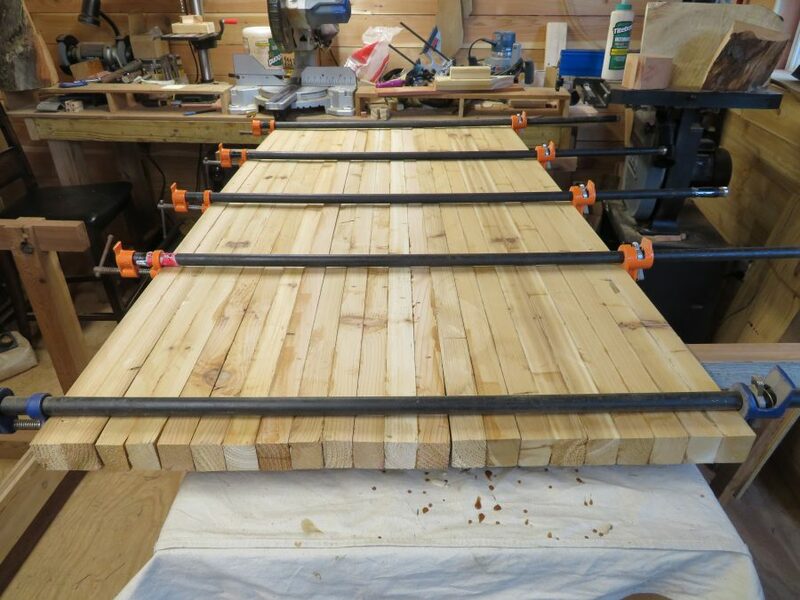 I am especially fond of cedar, a wood species I love working with.So I began salvaging the “usable” components of the old cedar fence and putting them aside. Thus began my journey to becoming a woodworker. I would learn and practice my skills on the material I salvaged, not worrying if I was going to ruin an expensive piece of wood I bought. This “waste” has allowed to become a better woodworker and has been used in several projects. Everything from garden benches, rocking chairs, accent walls and, what I want to share with you today, my work bench. 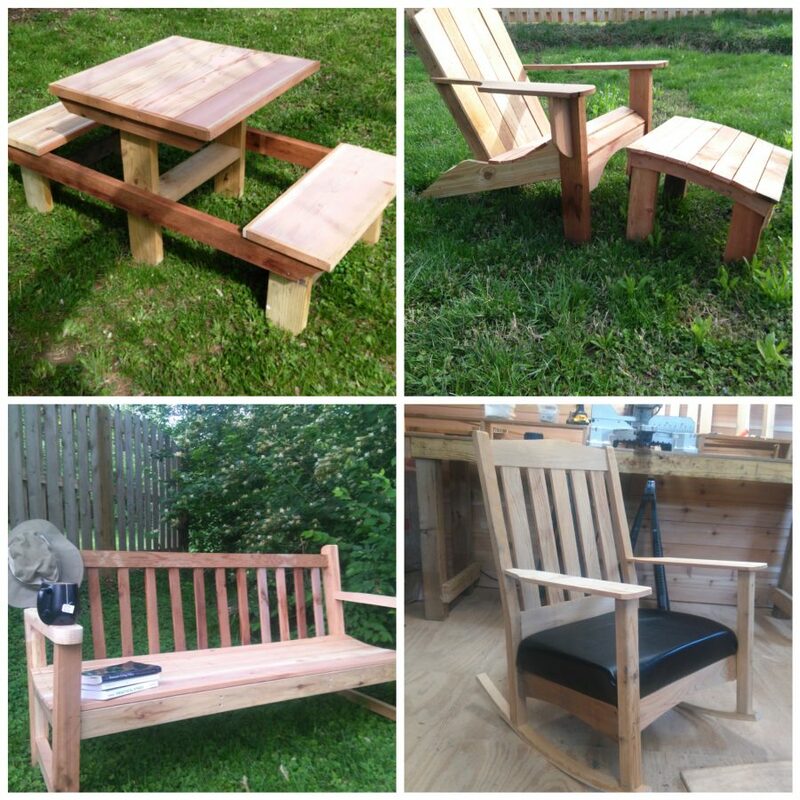 The idea for the workbench came after a a client of mine who I have completed repair work for in the past, contacted me to replace an old cedar privacy fence in the rear of their property. The fence wasn’t that old, but several of the cedar posts were rotting and causing the fence to lean in places. This is why I’m not a fan of cedar fence posts when building a privacy fence. They just don’t hold up that well. When I removed the old fence I decided I was going to salvage all of it; cedar posts, cedar 2×4’s, cedar pickets, and even the aluminum nails. It seemed such a waste to take over a 100′ of fence to the landfill simply because the posts were beginning to fail. The pickets were used for an accent wall at Urban Village Veterinary Care here in Louisville. I then used the cedar 2×4’s and posts for the top and base of the workbench. I found plans for the workbench in and issue of Fine Woodworking that was exactly what I was looking for to meet my needs. 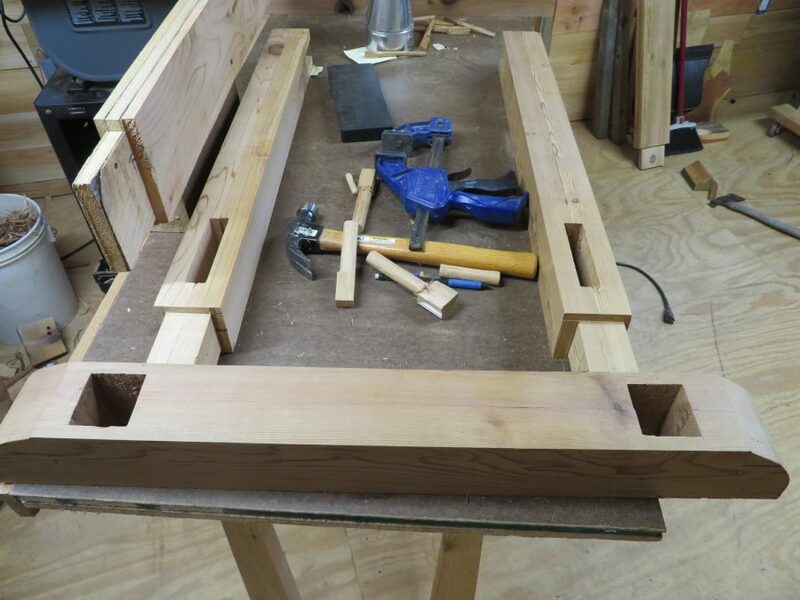 I really liked the joinery of this project as it is similar to traditional mortise and tenon joints that use the wood for connection points vs. nails, screws or other fasteners typically used today. I hand carved the pins that would connect the legs and feet together via the mortise and tenon joints, making for an even stronger connection. 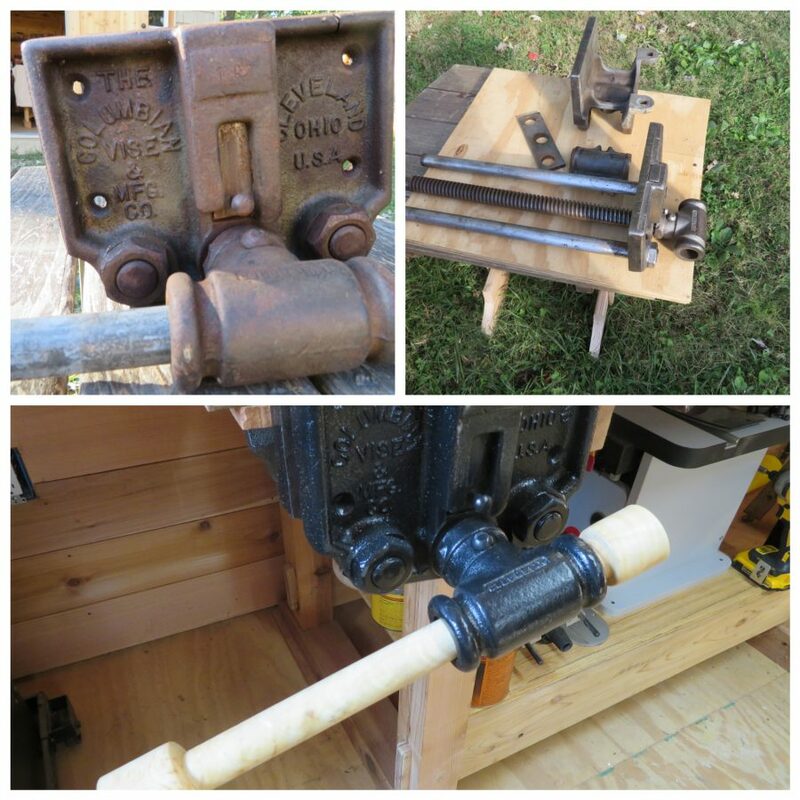 I finished the bench with the addition of old Columbian vise I found on Ebay. It was in rough shape, but with a little cleaning, a coat of paint and a new wood handle I turned on my lathe from Ash wood, it made a nice accessory for the workbench. 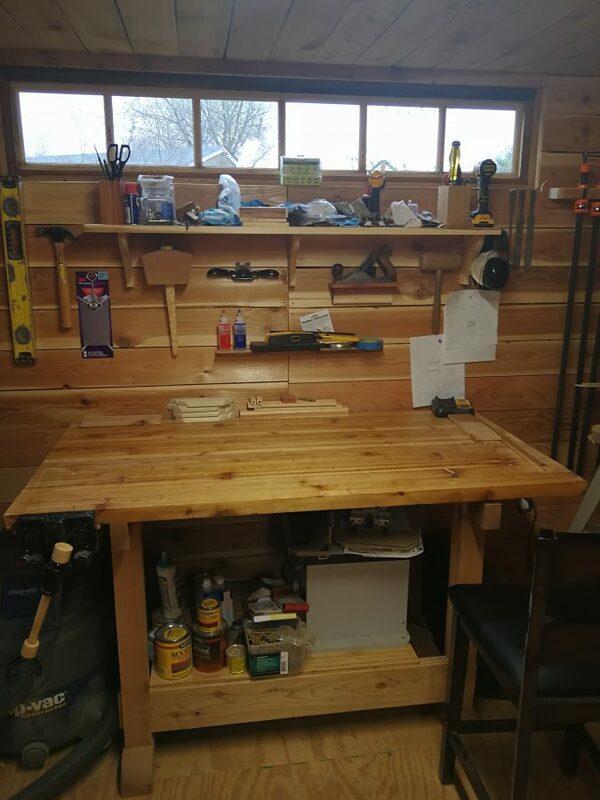 Building this workbench from salvaged material has added a very nice personal addition to my workshop. I think it fits in nicely here; what do you think?